Estimated shipping costs are shown if you place items in your cart and click "Check Shipping & Checkout"
Orders are shipped using Royal Mail, Parcelforce, large couriers and our own vehicles for fast and secure delivery. UK Delivery is usually within 2-3 days, 3-4 days for Highlands of Scotland, Ireland, etc. We use the most cost effective delivery method for your order, keeping delivery costs low. We offer discounted delivery for orders within Norfolk. This is because we will deliver these items using our own vehicles, so do not have to pay third-party couriers to carry these items. Local delivery also reduces packaging costs. 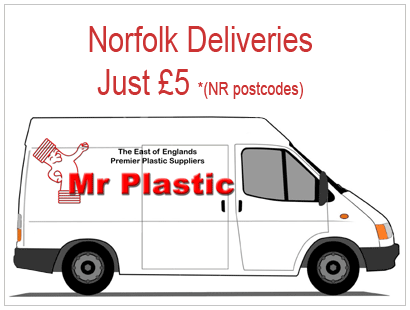 The maximum delivery charge for a Norfolk delivery (NR postcodes) is just £5, no matter how large the order. Some remote areas may incur an additional delivery charge. If you are in a remote area which we are unable to delivery to for our standard delivery fee, we will email you to confirm the additional amount.